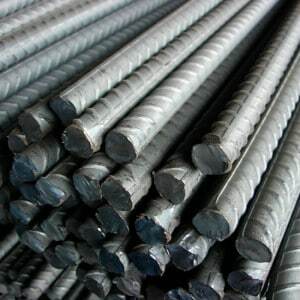 Why Mild Steel is most commonly used metal in Civil Engineering for Reinforced Concrete? Even though there are lots of metals (like Aluminium, Cast iron ) available for reinforcing concrete, Mild Steel is the most widely used reinforcing material in reinforced concrete. Following are the major reasons behind this. The coefficient of Thermal expansion of concrete and mild steel are almost equal, (12×10^-6 per deg C). This is the major reason why MS is proffered over Copper (16x 10^-6 per deg C) and Aluminium (23x 10^-6 per deg C) . Equal thermal coefficient will ensure the bond strength during thermal expansion, thus preventing bond failure. Moreover MS can be recycled easily. It can be easily welded. It is widely and cheaply available compared to other ductile metals. For MS. the yield stress is nearly equal to elastic stress and elastic limit curve is linear straight. Hence it is linear elastic material.